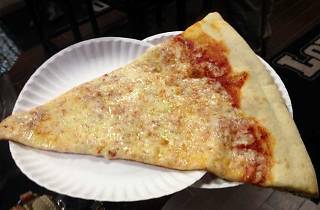 Philadelphians have a wide spectrum of opinions about Lorenzo’s big-as-your-face slices, but virtually no Philadelphia pizza is more famous than this South Street source of greasy goodness. 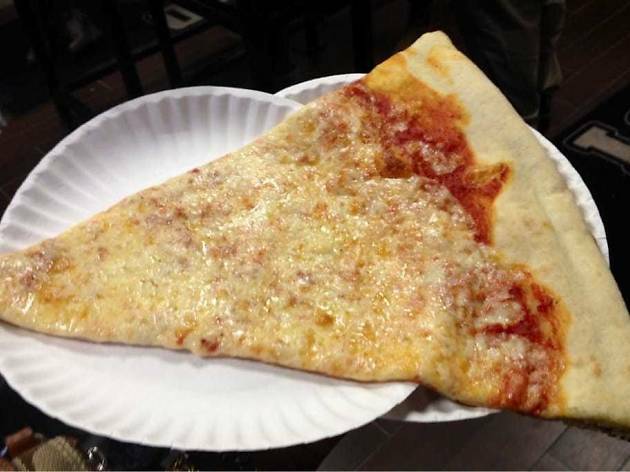 Skip the whole pies and opt for the no-frills cheese pizza—and plan to eat it after a late night, when the affordable price and mega-size will leave you most satisfied. The shop gets extra points for keeping the line moving, so don’t be be put off when you see it a queue wrapped around the street.